India shockingly heard that news from Shillong. APJ Abdul Kalam, 11th president (2002 – 07) of Independent India, died after suffering major cardiac arrest while delivering a lecture at IIM Shillong. 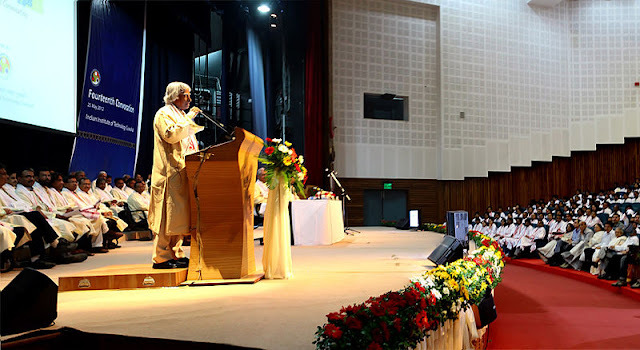 Kalam, also known as - The Missile Man - had one of the most distinguished career and achieved almost all great positions in the country – heading missile program, Scientific Advisor to PM, Bharat Ratna, President of India etc. Kalam born to a poor family at southern Indian city of Rameshwaram. As the story goes, he used to distribute newspapers in order to supplement family income. He later graduated in Physics and then went on to complete aerospace engineering from University of Madras. Later he narrowly missed from the selection list of Fighter Pilots for Indian Air Force. It was then he joined as a scientist at ADE. He later worked at ISRO for SLV-3 project and went on to become the chief executive of Integrated Guided Missile Development Programme (IGMDP). Later he become the Chief Scientific Advisor to PM and Secretary DRDO. It was during this time, India conducted second round of nuclear tests. On 2002, he became the 11th President of India. For his contributions to the nation, Indian awarded the highest civilian honour to him - Bharat Ratna. He also wrote best sellers like “Wings of Fire”, “Ignited Minds” etc. In fact, it was only yesterday we bought a book written by him to present as birthday gift. What make him different from many others is his simplicity and free interactions with children and common people. Children were a very big fan of him, and he was always ready to answer their curious questions. It may be only fate that, he died while delivering a lecture at IIM Shillong.